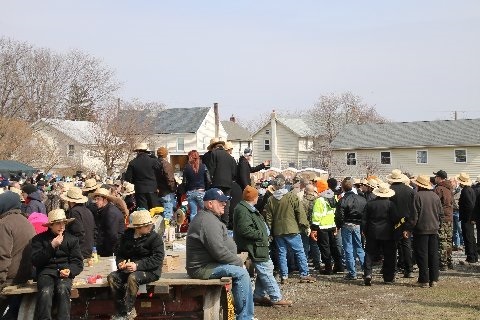 Each year, a cycle of special auctions called mud sales kicks off in the late winter/early spring months in the Lancaster County area. The mud sales were started about 50 years ago, in part to give local farmers a chance to obtain new or used equipment as planting season approached. The name comes from the seasonal change from winter to spring, as the frozen ground, in most rural areas not covered with grass, stones or asphalt, begins to thaw and turn muddy. Mud sales serve another major purpose — giving volunteer fire companies around the county a chance to do the bulk of their yearly fundraising. The companies serve small towns such as Airville, Bird-in-Hand, Gap, Strasburg and Honeyville. Amish, many of whom volunteer on fire companies, heavily support the sales. 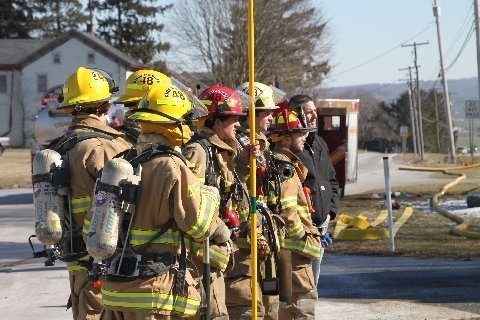 Here are some photos of previous year’s mud sales – Bart Township Fire Company in 2014, Airville (York County) in 2014, Gratz (Dauphin County) in 2015, and Gordonville in 2013. There’s also last year’s Bart Township sale (you might get a kick out of the first photo there in particular). If you’d like to attend, this year’s first event takes place at Strasburg Fire Company on February 25th. The mud sales run into the summer, with one or two even happening in autumn. There are about two dozen events. Erik, many thanks for this! You are a wonder, really! A true ambassador for greater understanding of this fascinating culture! May you continue to find joy and pleasure in all that you do! I love quilts and spend most of my time at the quilt auction when attending a mud sale. Which mud sale has the most quilts?